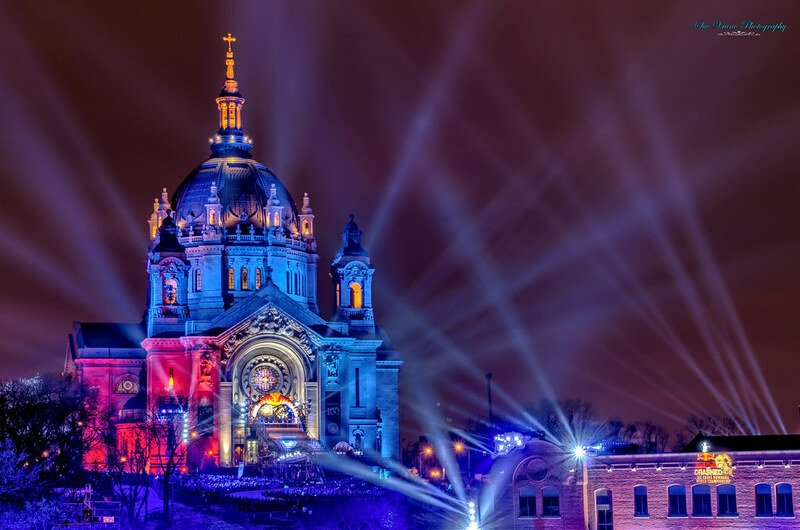 The Cathedral of St. Paul was lit beautifully for the Red Bull Crashed Ice event. It was absolutely amazing! 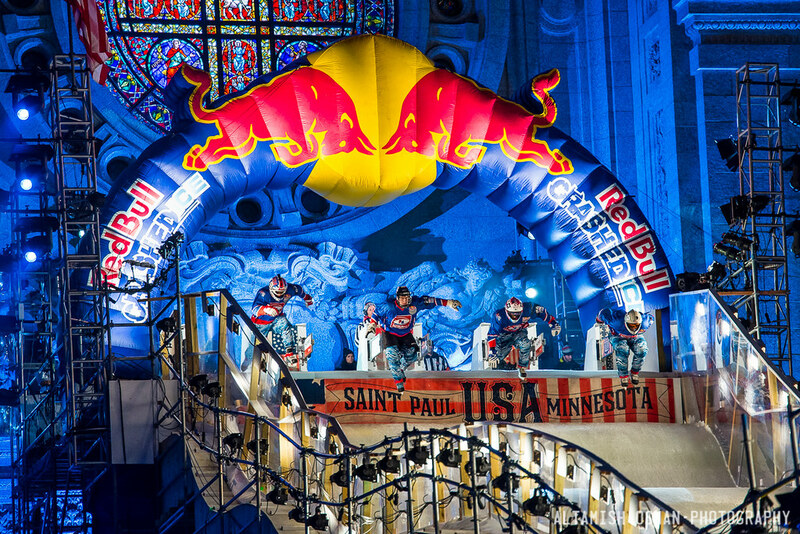 The St. Paul Cathedral is bathed in blue as crowds gather for an evening of Red Bull Crashed Ice mayhem in St. Paul, MN. 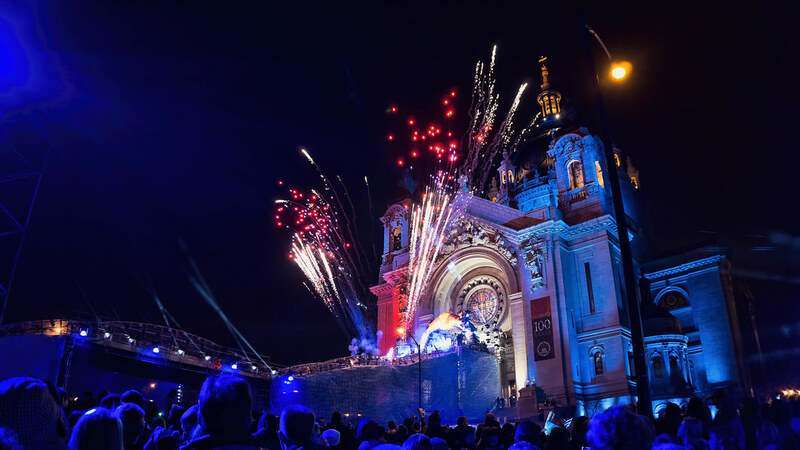 from flickr user Stefan P.
Fireworks are shot off in front of a crowd of excited spectators as Red Bull Crashed Ice 2015 takes place in front of the St. Paul Cathedral. 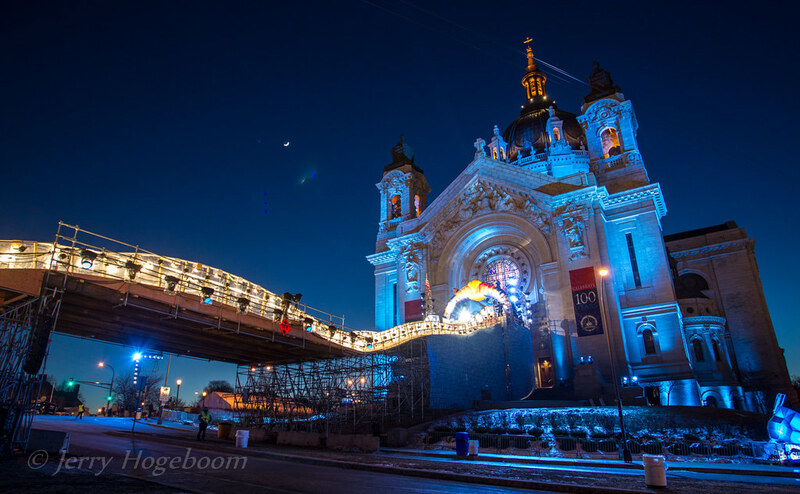 A run of Red Bull Crashed Ice participants careen down the ice-covered track in front of the St. Paul Cathedral as the photographer captures an incredible photo of the action. A group of Red Bull Crashed Ice competitors jump from the launch area on to the ice-covered track below on a brisk Saturday evening in St. Paul, MN.